Analysts at Credit Suisse AG see risks of further deterioration in premium mass revenue in Macau as more junket closures may hurt players’ funding channels. Kenneth Fong and Isis Wong said in a note on Monday that liquidity remains “very tight”, adding that more junkets are likely to close after the Chinese New Year, which this year falls on February 19. That could have an impact on mass revenue, as many premium mass and VIP players are overlapped, said the Credit Suisse team. According to their estimates, the premium mass segment accounts for 35 percent to 40 percent of mass gross gaming revenue (GGR). “Slower VIP means slower premium mass growth. Besides, a shrinking VIP players pool would limit the capability of premium mass hosts in sourcing new players as VIP players are always one of the main sources of new players for premium mass segment,” said Mr Fong and Ms Wong. The analysts said the working capital pool might shrink for both VIPs and premium mass players. “To avoid the frequent use of UnionPay cards (given the increased scrutiny for big overseas transactions), big premium mass players normally use junkets to facilitate money transfer between China and Macau,” they said, adding that the closure of VIP rooms would mean “fewer channels to transfer money”. “Different agents/junkets are strong in a particular region/province in China. So, such a gap may not be easily filled by junkets who remain in the system,” said the Credit Suisse analysts. “As such, we believe, both VIP (more junket closure) and mass revenue (premium mass decline) may not have bottomed yet,” they added. On January 31, David Group closed three out of seven of its VIP rooms in Macau. Gold Moon Group, a smaller junket firm, also confirmed last month it had closed a VIP room it ran at Sands China Ltd’s Sands Cotai Central resort. 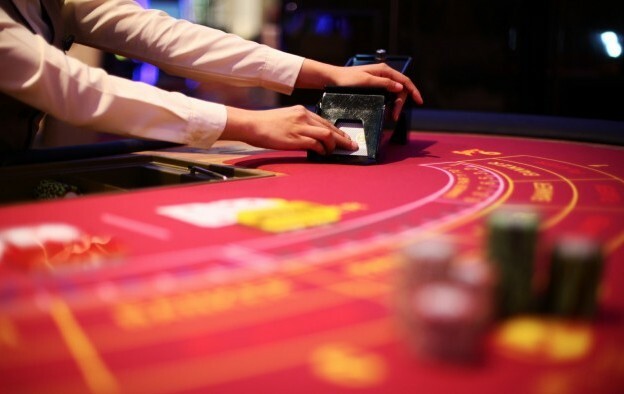 The Credit Suisse analysts added that their checks “suggested unsatisfactory advanced booking” for Chinese New Year, which could lead to weaker casino GGR this month. “We estimate February GGR at -45 percent year-on-year, with risk on the downside,” said Mr Fong and Ms Wong. Currently, GGR is on track to reach MOP66.7 billion (US$8.3 billion) in the first quarter, down about 12 percent from the previous quarter, according to Credit Suisse estimates. “To hit the low-end of 2015 GGR market consensus or MOP310 billion (or 12 percent year-on-year decline), quarterly GGR needs to sequentially grow 10 percent (similar to post financial crisis in 2008) till the fourth quarter; it appears aggressive given the current trend,” the analysts said.